Prince William might have missed Kate Middletons birthday yesterday when he visited the London Air Ambulance, but it looks like hes not coming back to Kensington Palace empty handed. However, instead of bringing his wife a gift, William revealed the sweet present hell be passing on to five-year-old son George. During his royal visit, two adorable kids presented him with a tiny toy helicopter perfect for the future king. Prince William told his royal fans, “I cant go back without a helicopter for George, Id be in trouble,” reported the Sunday Times. And the kids didnt forget three-year-old Princess Charlotte either, as they put together a number of colourful cards, with the Duke adding, “Charlottes going to love this. Thats amazing. Thank you so much!” AW! 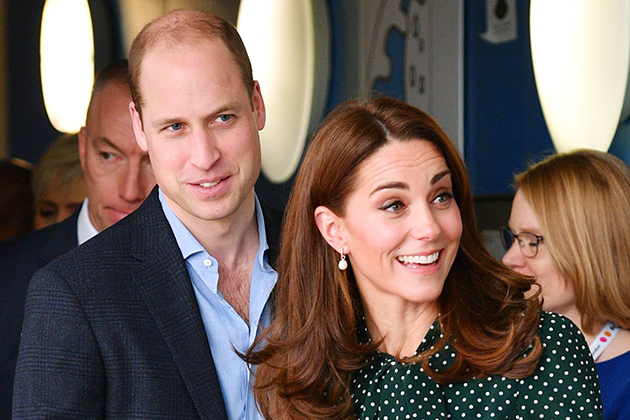 While Prince William made his first public engagement of the year to learn about the work and challenges of Londons Air Ambulance Charity, Kate is said to have spent her 37th birthday relaxing at home with the George, Charlotte, and Louis. And he might not have been at home to celebrate with his wife, but the Duke made sure his fans knew he definitely didnt forget her big day. And after one fan quizzed him about what he had bought Kate as a gift, he laughed off the question. Kensington Palace also posted a tribute to The Duchess, tweeting, “Thank you everyone for all your lovely messages on The Duchess of Cambridges birthday”, along with a balloon emoji. The post Prince William reveals hell be in trouble with George if he forgets to bring back this sweet gift appeared first on Woman Magazine.